Arches was released on two non-standard sized Straight Sided bowls. 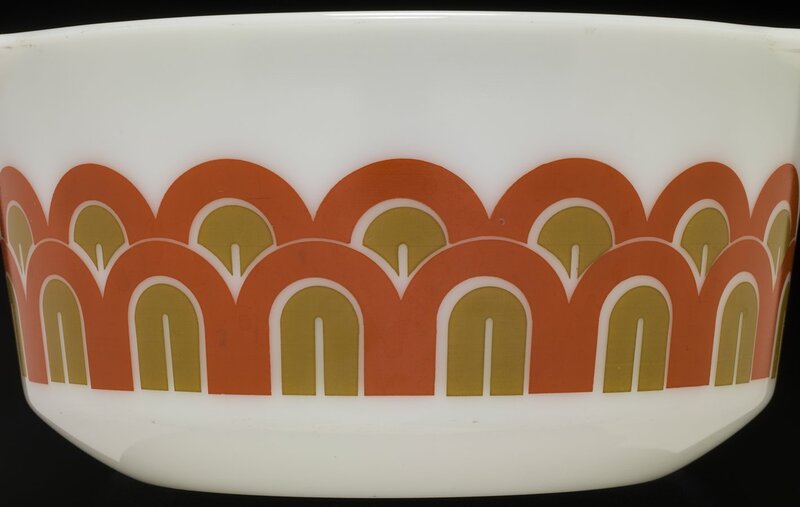 The Arches bowl set was designed for use with an electric mixer, although it can also serve as ovenware. Shown only in the 1971 dealer catalog, Arches was released on two non-traditional sized Straight Sided bowls; the 1 ½ quart Straight Sided Bowl (9343) and the 3-quart Straight Sided Bowl (9344). The bowls could be purchased separately or as a set. Although the Arches bowls can be used as ovenware they were designed for use with an electric mixer. Corning also produced this set in clear glass.